James is a high level BJJ black belt, and has been training Brazilian Jiu-jitsu for over 15 years. He began in New York City under Craig Kukuk. He moved to San Diego in 1996 and began training with 7th degree Black Belt Fabio Santos from whom he received his Black Belt in 2003. A noteworthy fact about James’ incredible teaching skills is that he is partly responsible for the success of UFC Veteran and three time Abu Dhabi World Champion Dean Lister, as it is James that mentored Dean and gave him his black belt. 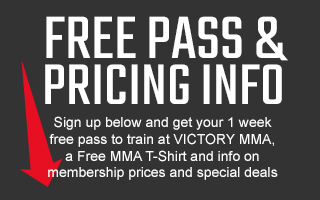 He is an incredible Instructor, and teaches an outstanding Gi and No-Gi class every Saturday at Victory MMA. James has also studied Goju Ryu Karate and Aikido, and has a B.S. in Business Administration, with an emphasis in Accounting from San Diego State University.